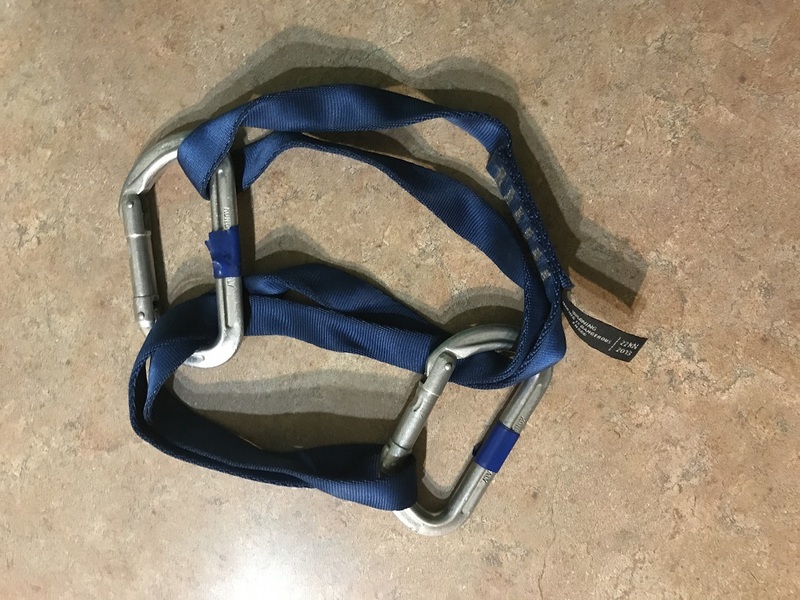 How to shorten alpine slings into an alpine quickdraw? Alpine slings are usually 60cm long and while they can be slung over one shoulder, it's much easier to carry them on your harness at 1/3 of the size in an alpine quickdraw. How would one shorten them up into an alpine quickdraw? then clip that carabiner to the slings on the other side. 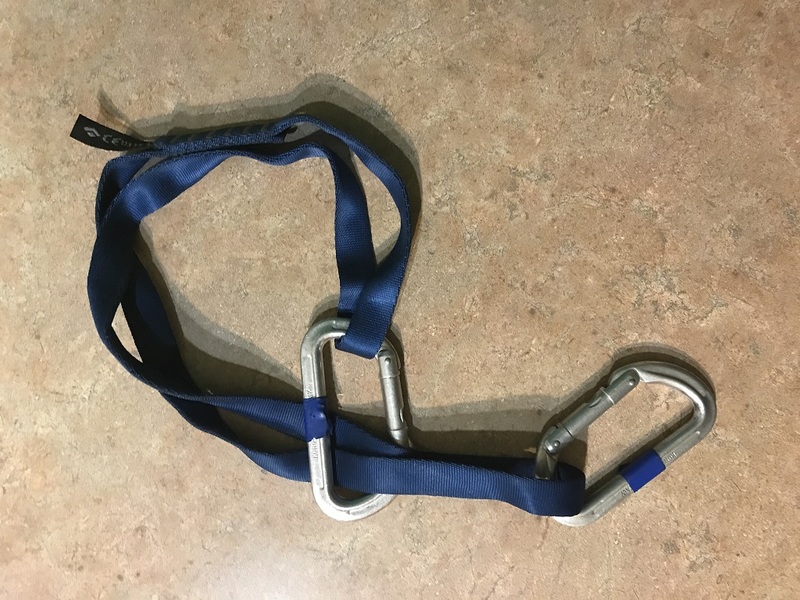 Finally, you pull both carabiners tight to dress the whole thing. 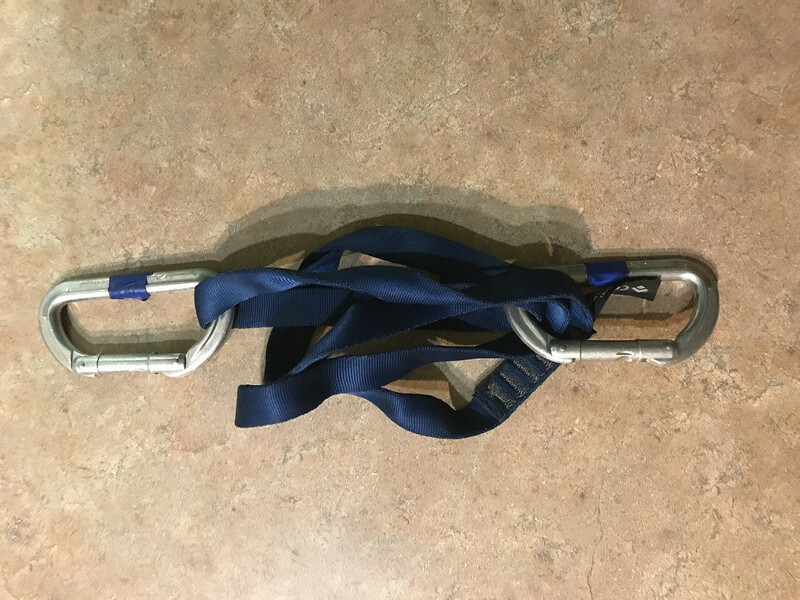 To undo , you unclip any two of the strands from one carabiner and pull. 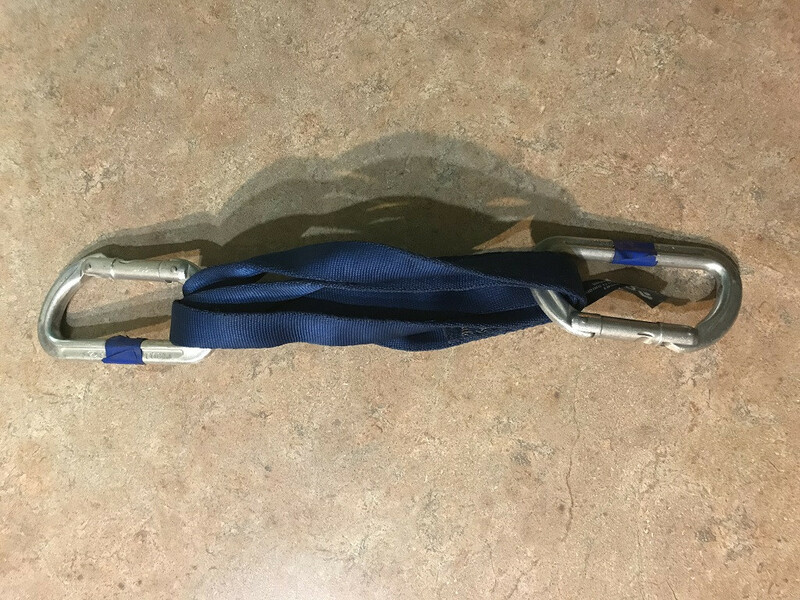 This can be useful because you can reach up, clip in with one carabiner, undo two strands from the second and then pull and the sling will be ready to go. If you want to make them even more compact (especially for longer slings), you can hold onto the biners, and twist one a couple of times, then continue twisting in the same direction and clip one biner onto the other. Be careful not to put so much twist on them that it imprints. (For storage, it's probably best to untwist and store them flat.) Also, I find the dyneema material's thinness helps to keep the sling manageable. What can I do with a retired rope and harness? How can you tie a clove hitch one handed?